There are a lot of reasons to return to Key West. I hadn't been there for 25 years and decided it was time to see if the 20-year onslaught of cruise ship tourists really has destroyed the island town that I found so charming and alluring in the 80's. Key West is as gay and lesbian populated as ever, there are just more straights cued up at the Southernmost mile marker and dancing on Duval street till 4am. If you avoid the day time when shore excursionists are about, and you stay/live/work closer to Old Town than Mallory Square, you'll find plenty to seduce you into staying or returning often. Key West is literally and figuratively at the End of the Rainbow. 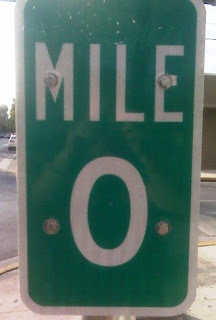 I should know, I used to live opposite the famous "0" Mile Marker. I'm told it's not the same sign; over the years this photo icon has been removed so many times that the city had to resort to attaching it with 4 bolts and some fancy holders so drunken sailors and tourists can't remove it as easily. And they say gays are out of control during Pridefest and Fantasyfest! My former guesthouse has been transformed by a fresh paint scheme, as have many of the historic inns located in Old Town. There are quadruple the number of T-shirt shops, of course, but that's true in every tourist trap. Some gay-friendly restaurants that I remember are still flourishing, like Camille's, Antonia's, and La Te Da's, but alas The Monster is gone and replaced by a Hog's Breath! As you may know, the founders of IGTA back in '83 included half a dozen charter members from Key West. It was nice to see that some of them are still around, like Alexander's Guesthouse, Big Ruby's, Island House for men, and the former Colours Oasis mansion inn. You don't want to miss Pridefest in June, Womenfest in September or Fantasyfest in October; if you've never been in 25 years (like me! ), isn't it about time you drive down to the southernmost spot in the USA for some memorable fun with your rainbow-loving friends and family? Key West then and now...always a blend of edgy and trendy, of the historic and wild innovation. Thanks for reaffirming this as a place we gays can visit and be ourselves. there is a nice website www.returntokeywest.com that offers some beautiful photos of life in Key West. Thanks for the great article! I live on the island and love Key West! 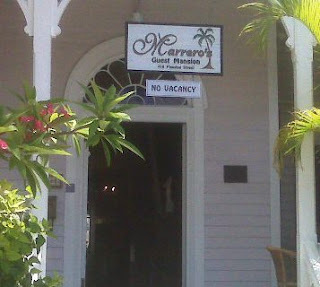 People can also visit http://www.gaykeywestfl.com to plan their vacation. 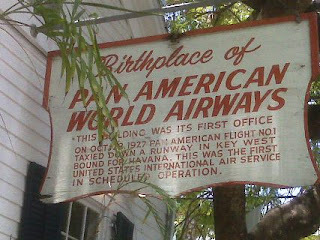 It's the Key West Business Guild site, the island's GLBT & Allied Chamber of Commerce since 1978.